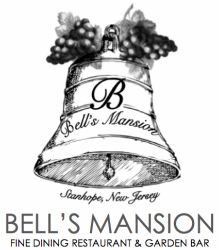 Bell’s Mansion was built between 1835 and 1840 by Robert P. Bell, a renowned local businessman. He was President of the Morris Canal & Banking Company as well as the owner of various mills. The 60-acre iron works track was purchased by Bell in 1835. Located in the center of Stanhope, this vast land area included the site of the present brick house which Bell constructed for his residence atop the hill overlooking the Morris Canal. After several other owners, the brick house was purchased by Herbert K. Salmon in 1905. He and his brother, Jerre B Salmon, formed Salmon Brothers Construction Company, the builders of New Jersey’s first concrete highway. After making many contributions as the member of various local affiliations, Mr. Salmon died at his home in Stanhope at the age of 99. The Salmon heirs retained the property until 1977. The residence was then sold after being in the family for 72 years. The house now attempts to recreate some of its history and charm by boasting various replicas and antiques from its era. The most prominent of which is the large mirrored oak bar that was originally built for the Palmerton Hotel in Pennsylvania during the 1880’s.